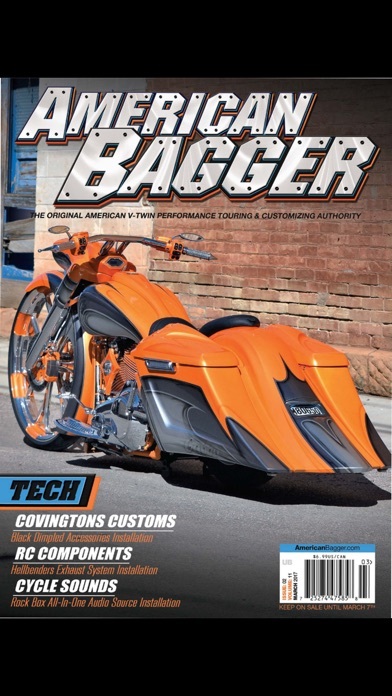 American Bagger set the trend in the Bagger scene by providing a quality publication that addresses the missing connection between magazines and readers. 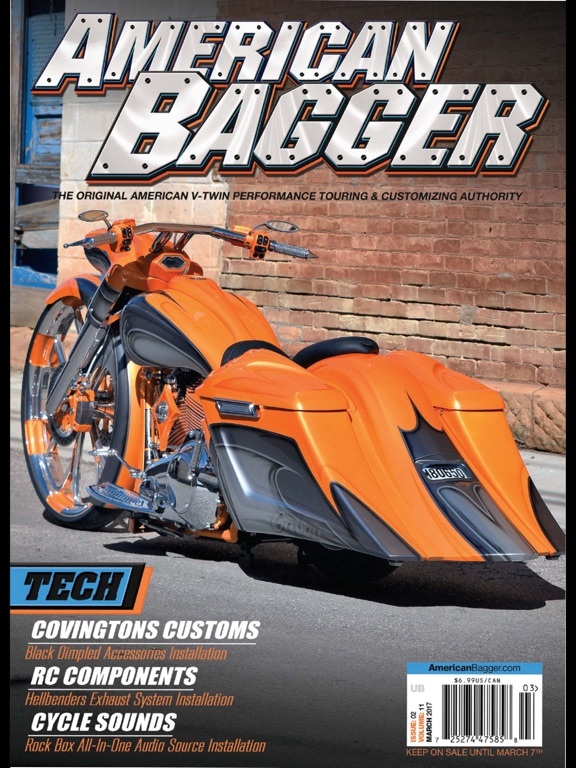 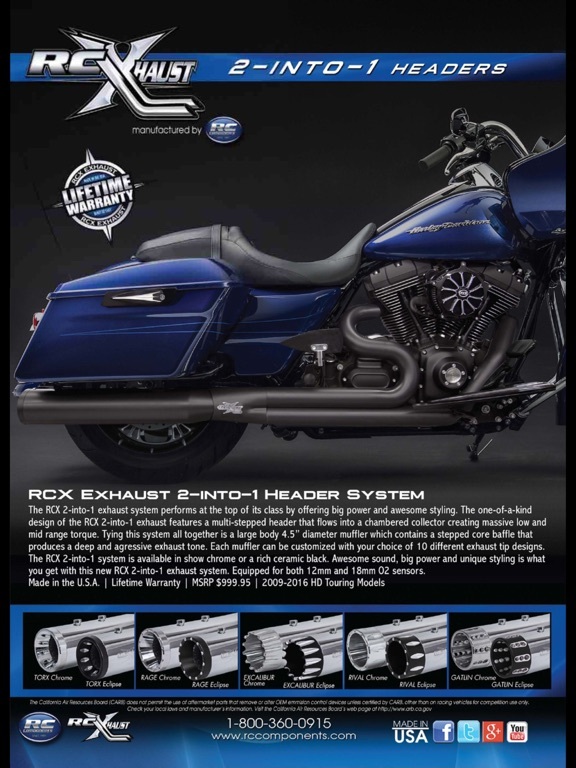 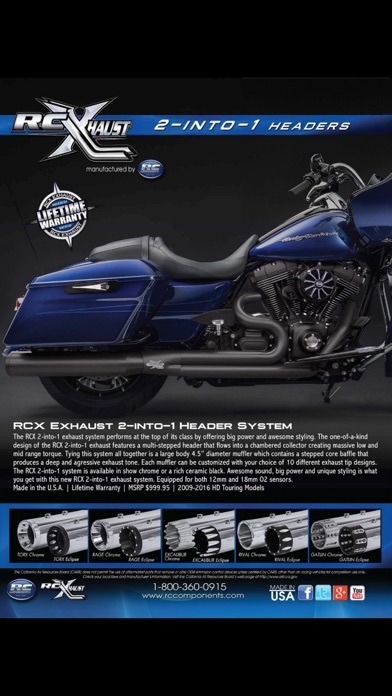 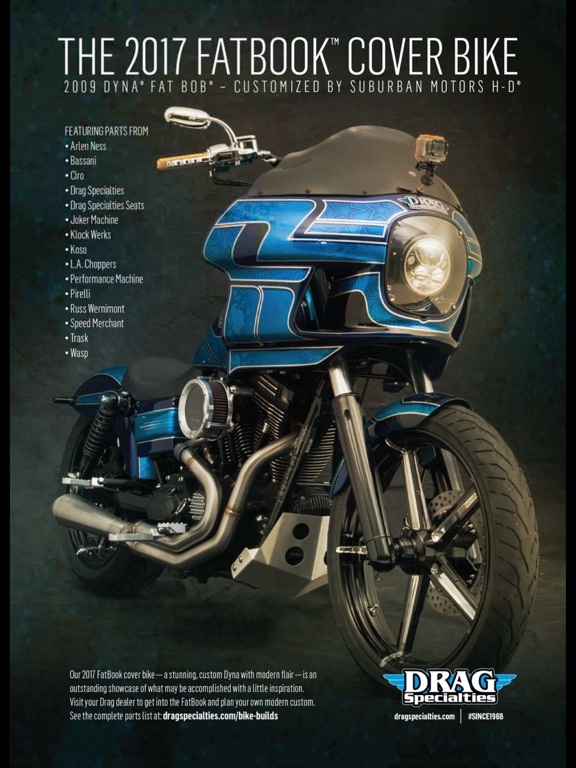 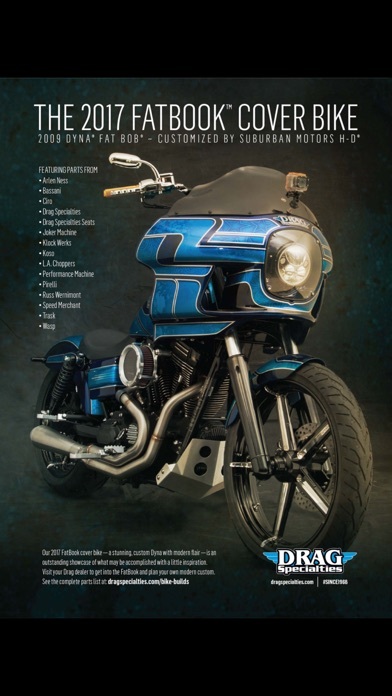 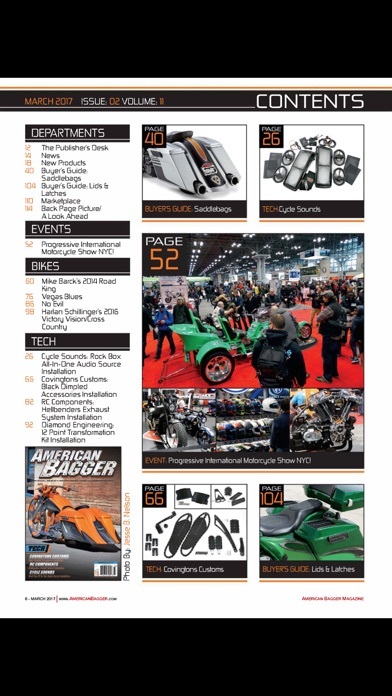 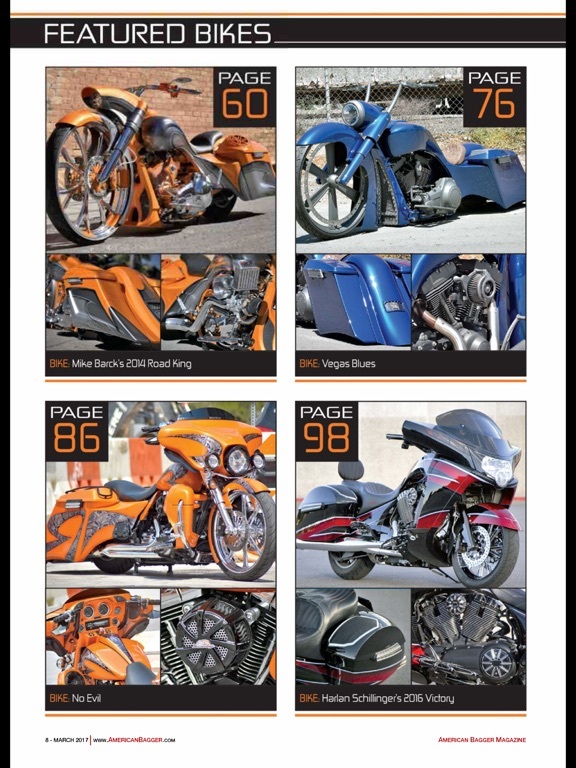 Magazines feature the latest custom Baggers from builders across the world, the latest in new products and Buyer's Guide products. 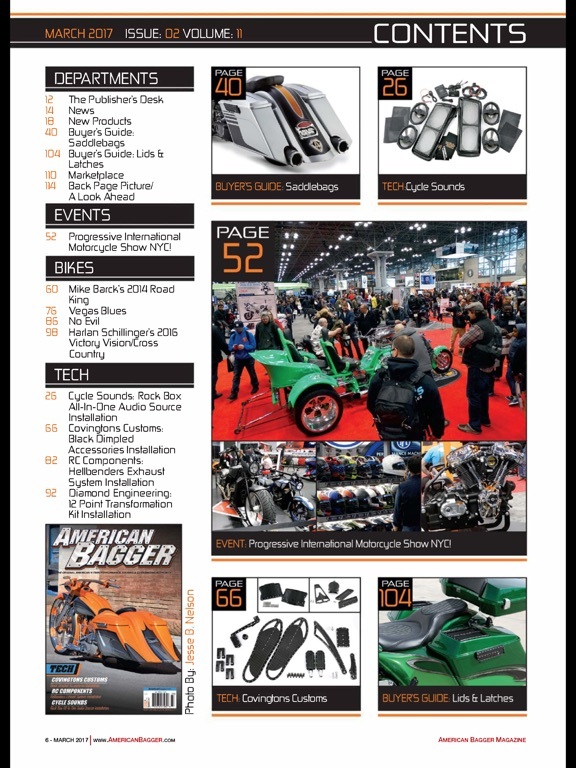 Event coverage includes Baddest Bagger shows, bike shows across the country, and other special events. 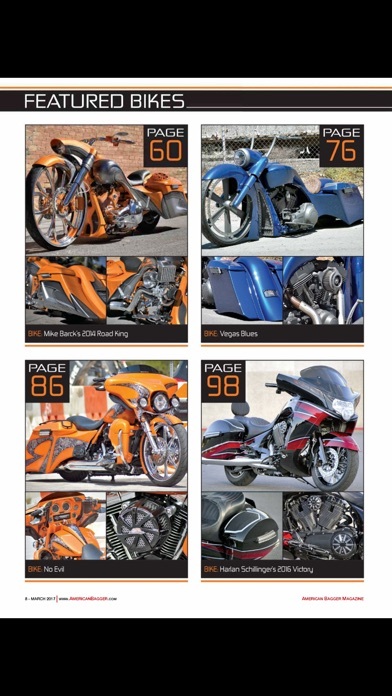 Issues also include tech installation articles.